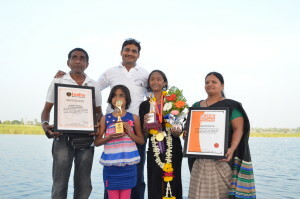 Khushi Ajit Parmar (born on May 30, 2002) of Maharashtra, India, swam continuously for longest duration(6 hours 32 minutes), starting from 9:40am and ending at 4:12pm, in V.A. 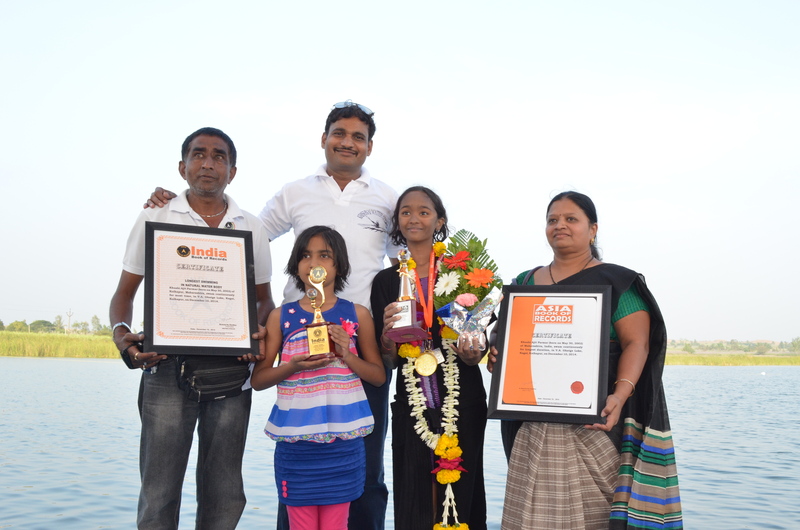 Ghatge Lake, Kagal, Kolhapur, on December 10, 2014. Comments for LONGEST SWIMMING IN NATURAL WATER BODY are now closed.